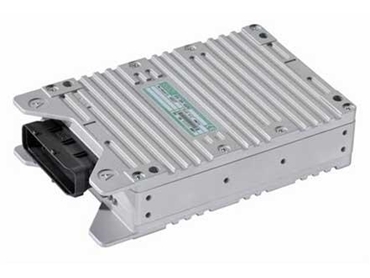 Available in Australia from CAN Automotion , the ESX-3XM programmable controllers manufactured by Sensor-Technik Wiedemann GmbH (STW) are designed for mobile machines and off-highway vehicles. Featuring a compact design, the programmable controllers require only half the space of the ESX-3XL controller and also comply with SIL-2 requirements for safety critical applications. The new ESX-3XM programmable controllers are built around the 32-bit Tricore TC 1796 processor clocked with 150 MHz (Infineon). For application-specific adaptations, a maximum of three expansion boards can be added with each accessing 14 pins on the connector, where each pin can be independently assigned with a specific functionality. All 66 inputs and outputs in the base version are configurable. For example, the 15 multifunction inputs can, depending on function call, be used as current, voltage, digital or RPM inputs. The 8 high-side outputs are equipped with feedback for current controlled devices and loss-free wheel circuits. All outputs can be switched off via a second path.